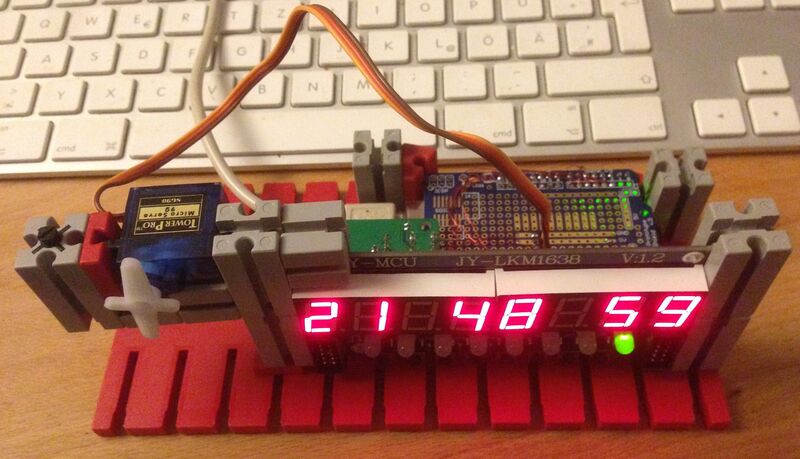 How to build an easy arduino clock. Why building a clock, since one can buy all kind of clocks? Two causes, first for the fun of it and second I can build the functions as I like and how they work. I also plan to add more functions from time to time.I wrote easy, that means not doing too much on the hardwork side. One can get an 8 7-segment LED (TM1638 LED Display Modules) with electronics, so there are only 5 wires needed for the display (and there are added 8 buttons). 5 more wires for the real time clock and off we go. Wiring is an easy job, it’s explained in the source code. 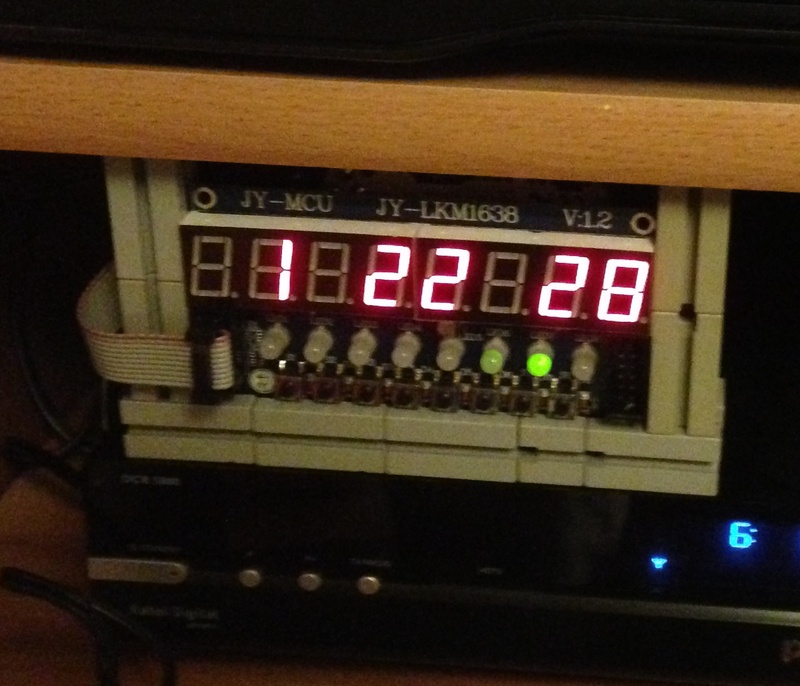 I implemented only settings for hour and minute (changing minutes also resets seconds), as I think it’s easier to set the date once with the arduino IDE. But feel free to add the extra functions. 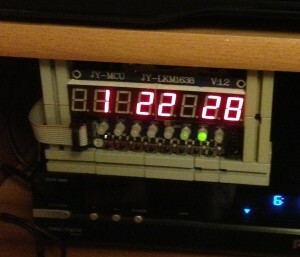 I plan to add functions for servos and others for alarm and count down timer. 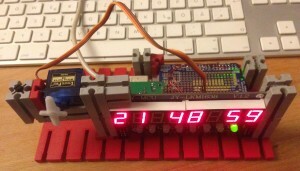 This entry was posted in Arduino and tagged Arduino, Hardware by admin. Bookmark the permalink. on witch ide you compile it ? tried on 1.0.6 and 1.6.1 and have errors ? An can you give us the connection for this? CL1615 und DS1302 scheint identisch zu sein. Analog-in vom Arduino, und sofort erscheint eine Uhrzeit. Nur ? Wie stellt man jetzt die Zeit ? Sie geht ca 50 Minuten falsch…. the code for setting hours and minutes with buttons should be in the code. Also to set year and month once per app. Hi Nico br Thank you for your answer, I think has a RTC but I wanted to test this clock because I could make a miniature circuit.